Hi~ It's Polyvore Monday again at TTE Designs. It was such a great weekend here in Virginia, a great time for some easy relaxing on the deck, patio or outdoor restaurant. 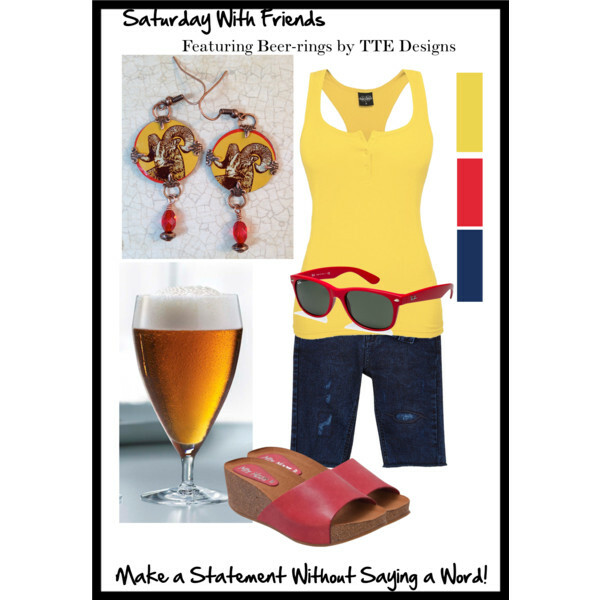 Why not keep your fashion statement quirky and fun with some beer cap earrings from TTE! Those earrings are so cute and playful, Tammie :) It's not quite summer temps here in northern New Brunswick, but the good news is that about 2/3 of our 8-foot snowbanks are GONE!